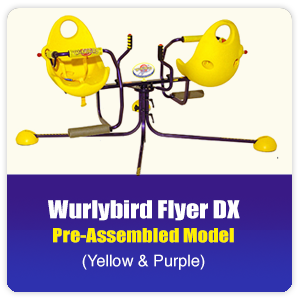 Wurlybird Flyer DX Pre-Assembled Foldaway Model. 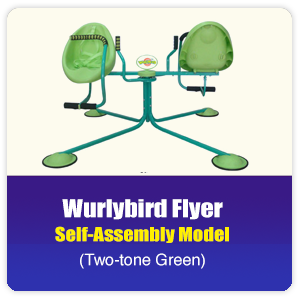 Wurlybird Flyer Self Assembly Model – Green. What’s the difference between the DX and Self Assembly models? 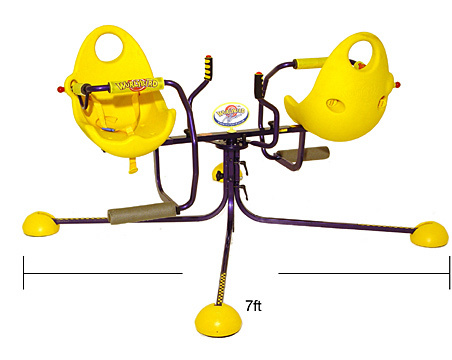 Both models use the same unique patented rotating mechanism and can be used by one rider or two. (A Wurlybird ‘Buddy bag’ counter-balance is provided for use by solo riders). Also both models are suitable for kids ages 3 to 10. 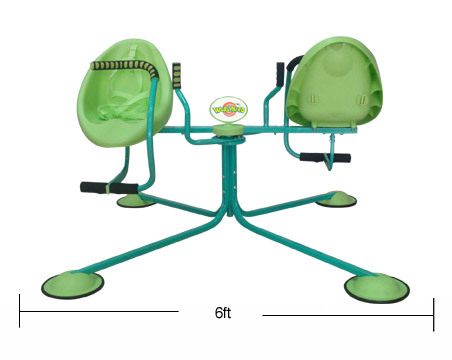 Both models feature sprung legs to ensure maximum stability and comfort. The Self-Assembly model has a six-foot span whilst the Wurlybird Flyer DX Pre-Assembled model has a slightly larger seven foot span. 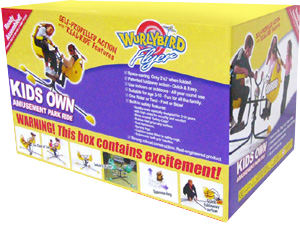 Please note Wurlybird Flyer DX is packed in folded position in a large box, therefore increased shipping charge applies. 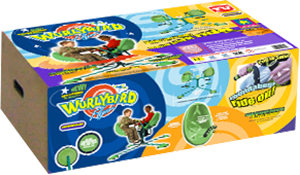 Although slightly smaller, we guarantee that the Wurlybird Flyer Self-Assembly model delivers exactly the same amount of excitement and fun as the DX foldaway design.